Just don't accept any offers for a round of "Bite-off". 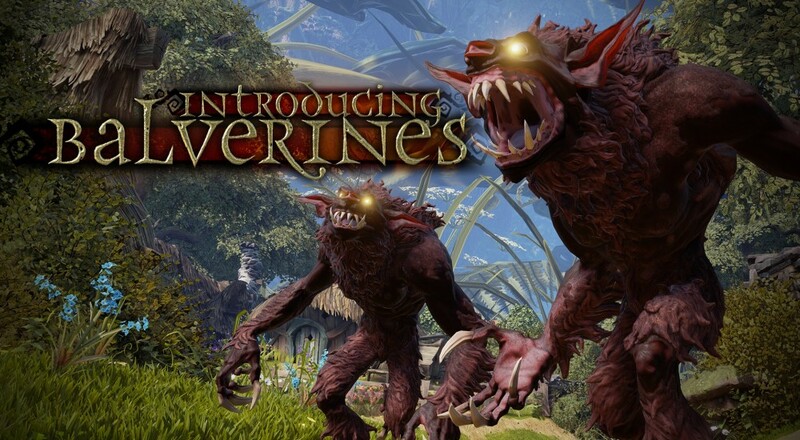 If you've played any of the Fable games, you're probably well acquainted with the furry ferocities known as Balverines. Though they're rarely central to the plot, the creatures go hand-in-hand with the Fable experience. They're like Tauntauns in Star Wars, or used needles at a music festival. The latest "Return to Albion" video shows Fable Legends continuing in the lycanthrope tradition, although these Balverines may be slightly different than the ones you remember. Since Fable Legends is set a few centuries prior to the original trilogy, the developers had to think back on what Balverines looked and acted like when they were less removed from their human ancestors. I gotta be honest, the result is quite a bit more menacing. Check out the video below to catch a glimpse of your slightly-less-familiar nemeses. While it's beginning to run out of time, Fable Legends is still intended for a 2015 launch date. Given that last month's closed beta was limited to "a very small slice of Fable Legends gameplay", that seems increasingly unlikely. Up to five players can bask in the glory of Albion myth, but the fifth spot goes to a nemesis-DM, making the game's co-op set at four. The game will also feature crossplay between Xbox One and Windows 10 users, so now both your console and PC gaming friends can bicker about which is better over the same channel.